New York private equity firm the Blackstone Group has made an agreement to sell Strategic Hotels & Resorts, which it acquired in December 2015 for around $6Billion, to Chinese company, Anbang Insurance Group. 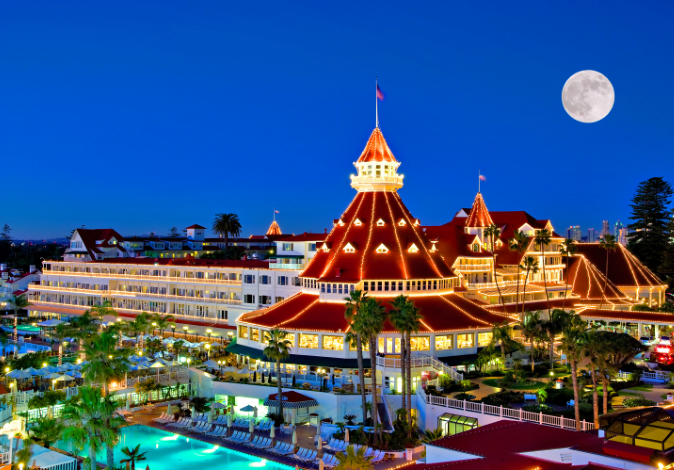 This sale results in the transfer of 16 luxury resort properties in the U.S., including San Diego's historic Hotel Del Coronado. Strategic Hotels' portfolio was purchased by Anbang for an estimated $6.5Billion and is comprised of 16 properties with a total 7,532 rooms. Among the properties, in addition to Hotel Del, are Ritz-Carlton locations in California, the Fairmont Scottsdale in Arizona, the Four Seasons Resort in Jackson Hole, Wyoming, and Four Seasons Washington, D.C. on Pennsylvania Avenue. Hotel Del Coronado was opened in 1888 by the Coronado Beach Company and was the largest resort hotel in the world at the time. San Diego's Spreckels family retained ownership of the hotel until 1948 when it was purchased Barney Goodman, who sold it to local millionaire John Alessio in 1960. Alessio sold it to M. Larry Lawrence in 1963, who initially intended to demolish it and redevelop the land. After substantially rebuilding and renovating the hotel, the Lawrence family eventually sold it to the Travelers Group in 1996. In 2003, Travelers sold the property to CNL Hospitality Properties Inc. and KSL Recreation Corp., who completed a $10 million upgrade of 381 rooms in 2005. In 2014, Strategic Hotels & Resorts became full owners of the hotel. During its 128 year tenure, Hotel Del has hosted celebrities, presidents and royalty, and has been featured in many movies and books. It is reported that Beijing-based Anbang has also made a bid to acquire Starwood Hotels and Resorts, which could interfere with a deal set back in November 2015 for Marriott International to acquire the owner of brands such as W Hotels, St. Regis, Westin and Aloft. Starwood Hotels & Resorts Worldwide Inc. owns such local landmarks as the U.S. Grant, as well as W Hotel and Westin properties in San Diego. Anbang Insurance Group purchased the Waldorf Astoria in New York City in 2014 for $1.95 billion in what is the largest-ever sale of a U.S. hotel and the largest U.S. real estate purchase by a Chinese buyer. The company also purchased Fidelity & Guaranty Life in late 2015. 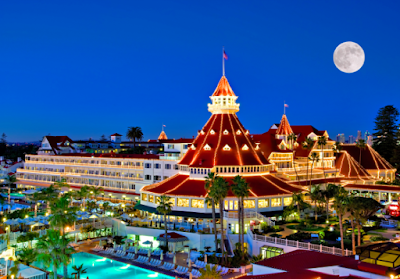 Hotel Del Coronado declined to comment on the impending sale.